After a five-year courtship, Audrey and Ryan were visiting their favorite North Georgia vineyard when Ryan got down on one knee. 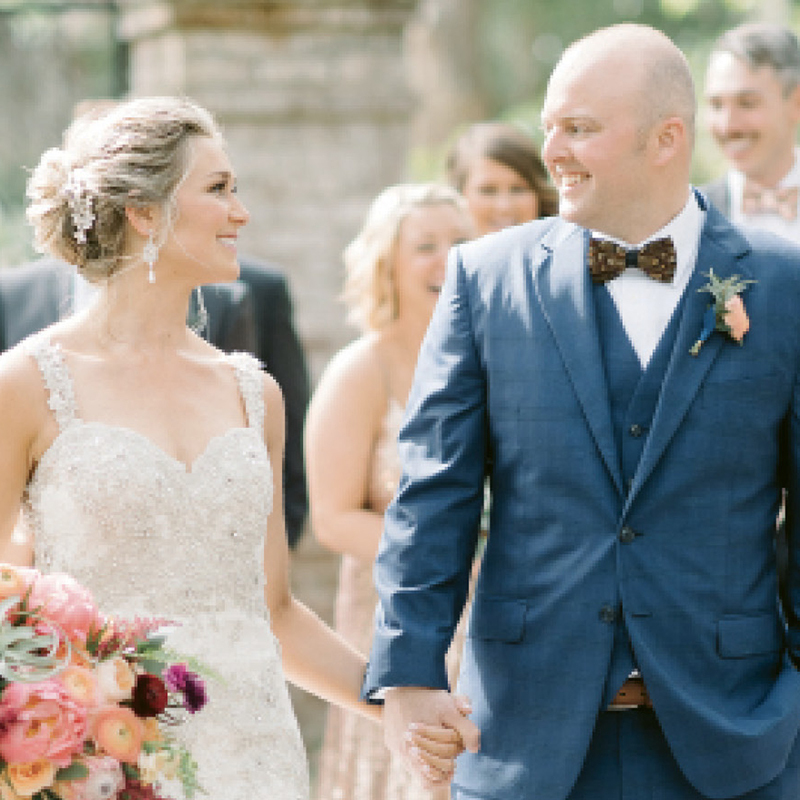 In May, the pair said “I do” under the avenue of oaks at the Legare Waring House, and at the Cinco de Mayo-inspired reception, the bride’s father, a hobby vintner, presented the couple with three wines he’d made specially for the occasion. Audrey, a program coordinator in MUSC’s Brain Stimulation Lab and Addiction Sciences Department, and Ryan, a cargo pilot, reside in Mount Pleasant.